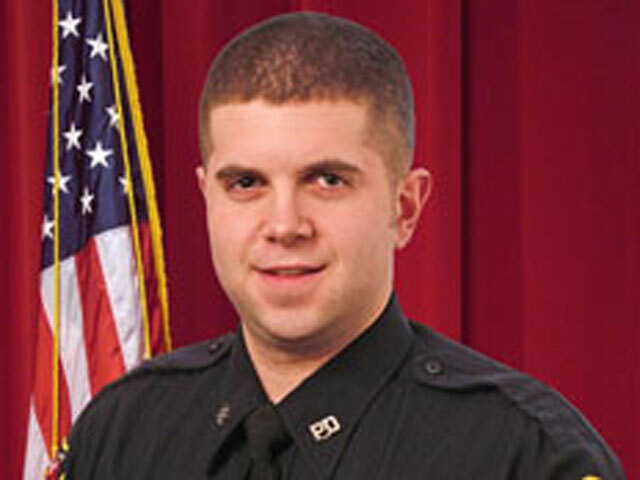 (CBS/KELO/AP) RAPID CITY, SD - Rapid City police officer, James Ryan McCandless, was killed while two others were seriously wounded after a shootout with a man during a routine stop in the South Dakota city, authorities said. The Pennington County Sheriff's Office and Division Of Criminal Investigation are investigating the deadly shootout, reports CBS affiliate KELO. Police say around 4:30 p.m. Tuesday, three officers came in contact with four male suspects. At some time, one of the males drew a concealed gun and fired at the officers. At least one officer then returned fire but it is not known how many shots were fired. When the gunfire stopped, all three officers and the suspect with the gun had been shot. They were all taken to Rapid City Regional Hospital. Officer McCandless, 28, was pronounced dead at the hospital, Rapid City Police Chief Steve Allender said. Officer Nick Armstrong, 27, had emergency surgery Tuesday night and is currently in critical condition. The third officer, whose name has not been released because family has not been notified, was hit in the side of the face and needed emergency surgery. He has been in stable condition, reports the station. The name of the suspect has also not been released. He is a Native American man in his 20s and also had surgery Tuesday night. Investigators were still on the scene Wednesday morning trying to determine what happened. Pennington County Sheriff Kevin Thom hopes to have more details to release on Wednesday afternoon.